As the end of the year approaches, CoreLogic have produced a report that sums up Australia’s 2016 housing market with the latest data up to September. In the report CoreLogic have also ranked the top suburbs throughout Australia, providing an insight into the values and price summaries of houses throughout the country. According to CoreLogic head of research Tim Lawless, when summing up the 2016 housing market there are two key words that best describe the activity across the year: diversity and complexity. "Why diverse? Because conditions have been radically different from region to region," Mr Lawless said. 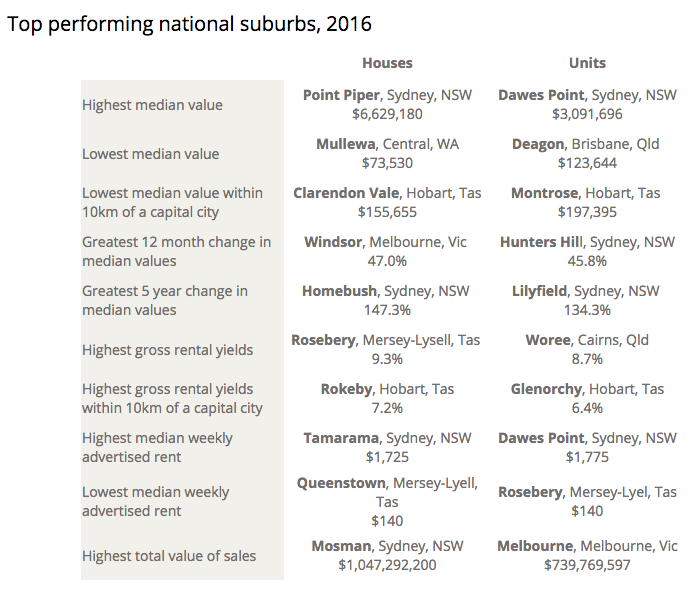 "At one end of the spectrum we have Sydney and Melbourne where dwelling values are rising at more than ten per cent per annum, while in Perth, values continue to trend lower. "In Canberra and Hobart, the pace of capital gains has accelerated with both cities seeing annual capital gains rise higher than 8 per cent over the past twelve months. Brisbane and Adelaide have shown more sustainable growth with values tracking 4-5 per cent higher over the year. "Across regional markets, the lifestyle and tourism-centric areas recorded an improvement in buyer demand which has pushed prices higher, while markets related to the resources sector remained soft and are likely approaching the bottom of what has been a dramatic downturn in values and transaction numbers," he said. Courtesy CoreLogicMr Lawless said he also used the word complex because indicators are diverging and moving in many directions. "Approved housing supply reached unprecedented highs during 2016 with high rise apartment projects attracting a higher risk profile, particularly across key areas of inner Melbourne and Inner Brisbane," he said. "Transaction numbers have drifted lower across most state capitals, however the reason for lower transactions can be traced back to low listing numbers in hot markets like Sydney and Melbourne, while in weaker markets such as Perth and Darwin, the downturn in buyer numbers is attributable to less demand for housing. "CoreLogic revealed that the new year will possibly produce rising mortgage rates, a peak in the construction cycle, the potential for more regulation in the investor space, and renewed focus on housing affordability. "Investors remain a substantial component of housing demand in Australia, with investment demand consistently rising since the May rate cut," Mr Lawless said. 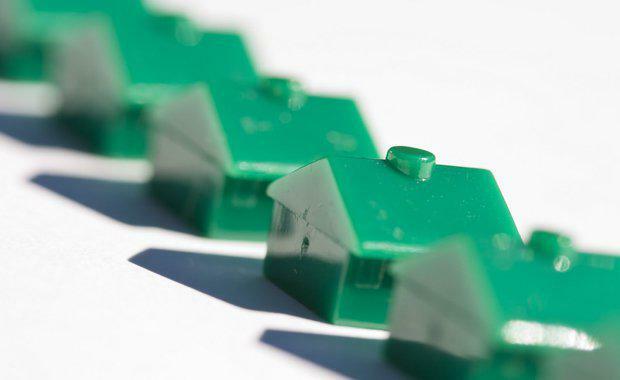 "Based on ABS housing finance data, the value of investment-related mortgage commitments has increased by almost 16% since the first rate cut this year; investors now comprise approximately 49% of mortgage demand nationally. "Mr Lawless said the housing affordability topic is always bubbling below the surface, however, over recent months the issue became debated more fiercely in the public policy arena. "The solution to housing affordability isn’t to see a crash in housing values, but rather, it is to make affordable housing options more accessible and plentiful, through infrastructure development and upgrades," he said. "Overall, in 2017 we expect capital city growth rates to be lower compared with 2016 due to factors ranging from higher supply levels, increasing affordability pressures, higher mortgage rates and softer investment demand due to regulatory changes."